Not all IO-Link Masters are Born Equal! IO-Link as a standard for device level communication has been around for over a decade. It has started gaining huge momentum in the Americas with 60-70% growth in IO-Link integration in 2017 alone (awaiting official numbers from the IO-Link consortium). Due to this huge market demand for IO-Link, there has been an insurgence of IO-Link masters with features and functionality that is dazzling machine builders and end users alike. 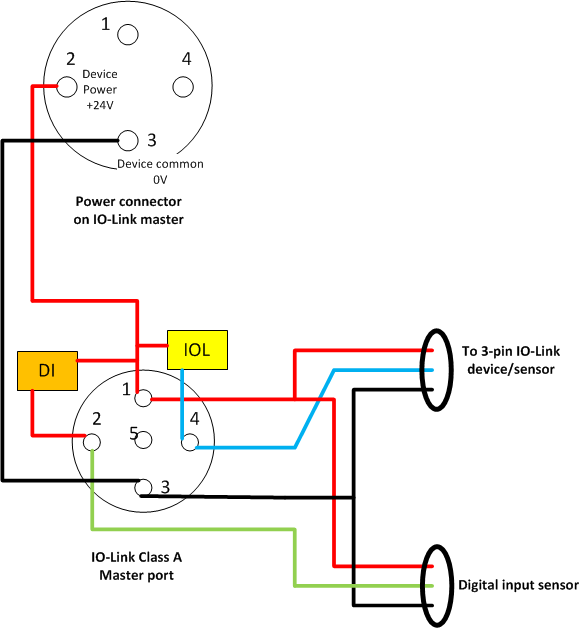 While IO-Link as a communication platform is a standard (IEC 61131-9), the added features and functions leave some machine builders confused on how to reap benefits of these different masters that are around. Some machine builders have a thought process of “Hey, vendor A is selling an IO-Link master and vendor B is also selling an IO-Link master – they are both IO-Link so, why should I pay more?” These machine builders are choosing the lower cost options without realizing what they are missing out on – and sometimes getting disgruntled about the technology itself. 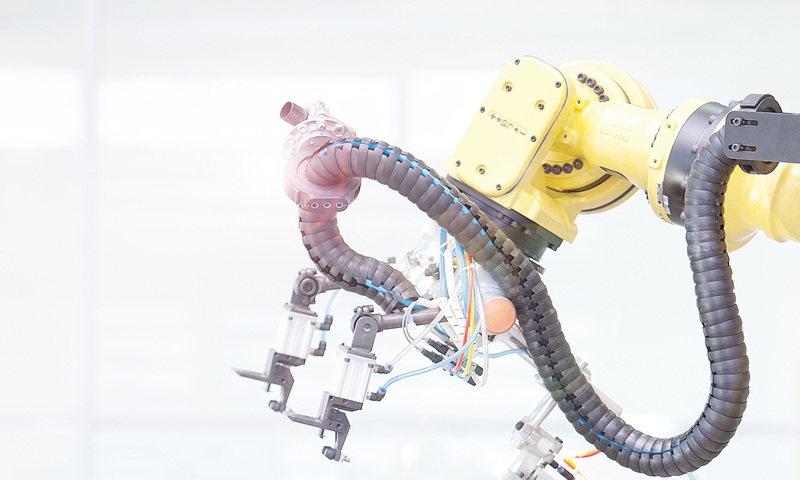 On the other hand, some machine builders are spending too much time in measuring and testing a variety of masters – wasting precious time and materials to identify what fits best for their solution. With this blog post and my next, I am hoping to add some clarity on how to detect differences quickly amongst the masters and make a decision that is best suitable for the applications at hand. 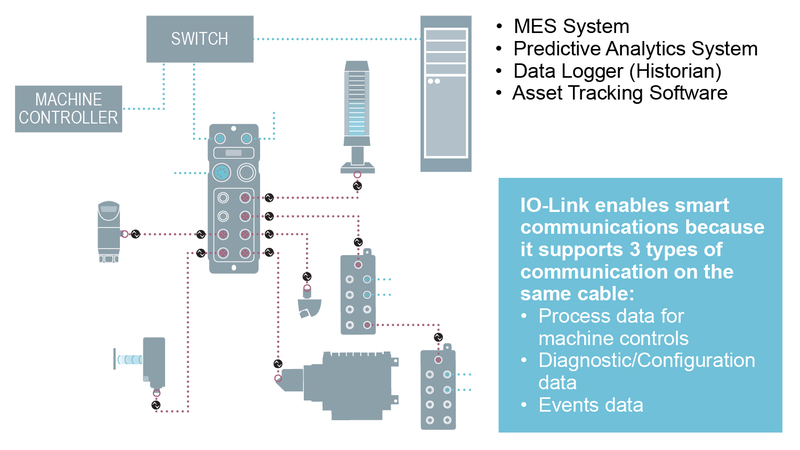 IO-Link started out as a standard of communications for smart sensors with a focus to eliminate variety of different interfaces on the plant floor- but since its inception it has manifested itself to be much more than simple sensor integration. It has also gained significance as a backbone for enabling Industry 4.0 or IIoT. 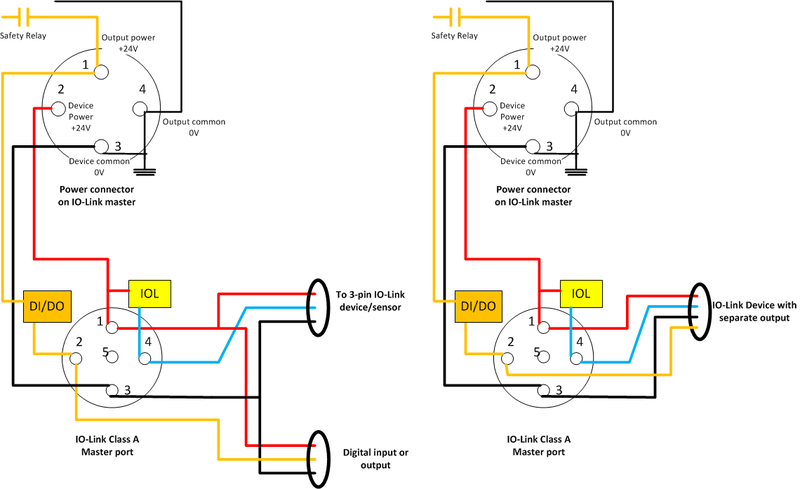 So, let’s review different types of IO-Link masters. 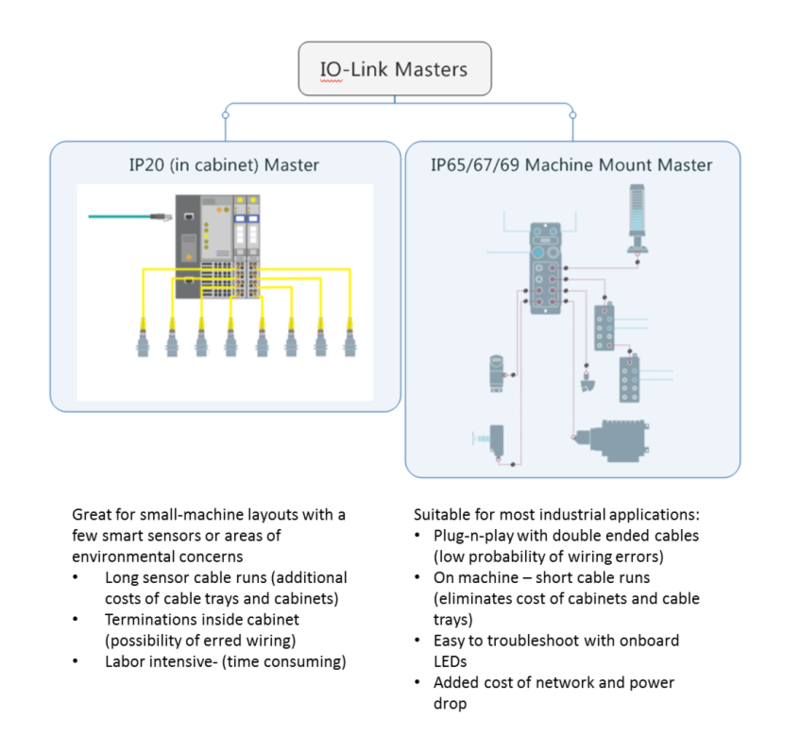 The very first thing machine builders have to do is determine whether the IO-Link master should be IP20 (in cabinet) implementation or IP65-67-69 rated (machine mounted) implementation. The machine mounted version makes sense as it is suitable for most industrial environments. The IP20 version may be desirable if the machine is operating in extreme environments or experiences continuous changes in temperature, humidity and other factors. 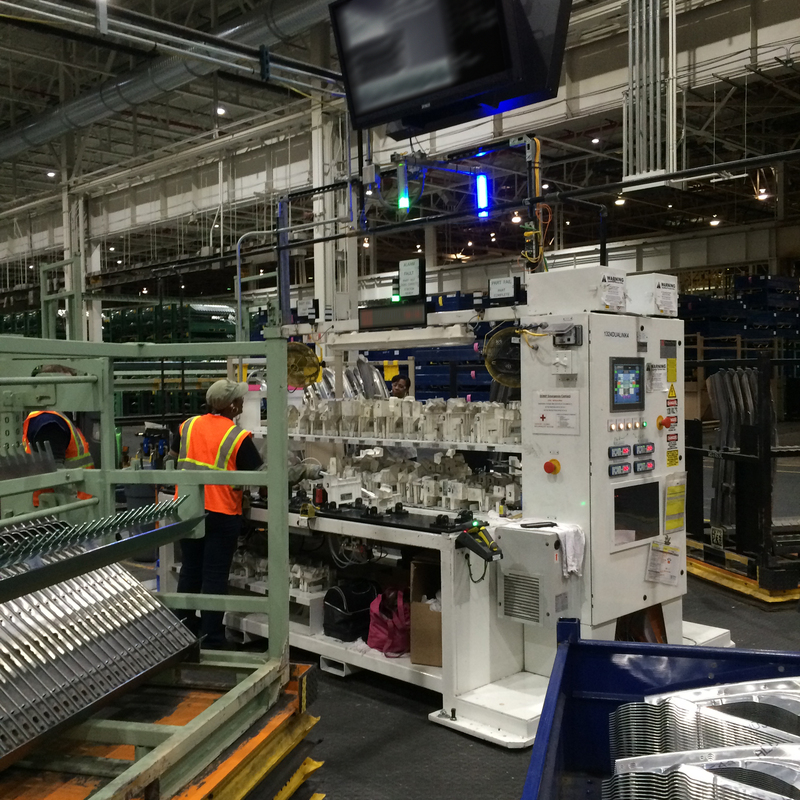 Eliminates wiring and terminates hassle and saves time and money during the machine building process. If the IP20 master is your choice, then there isn’t a major difference between vendor A and vendor B IO-Link masters. 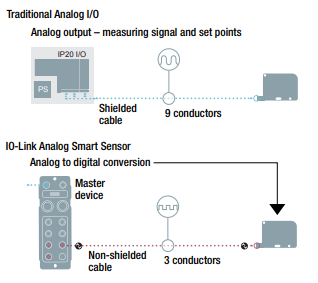 The difference could appear based on whether the IO-Link master is a part of a larger system or stand-alone module connected to the machine controller through one of the fieldbus or network gateway. One more thing to note about IP20 masters is they are meant for connecting 3-pin IO-Link devices only. If you want to use architectural benefits of having added Vaux (separate output power) then using IP20 masters becomes complicated and quickly becomes expensive. If the initial features of machine mounted masters are appealing to you, then there are a few more decisions to be made. 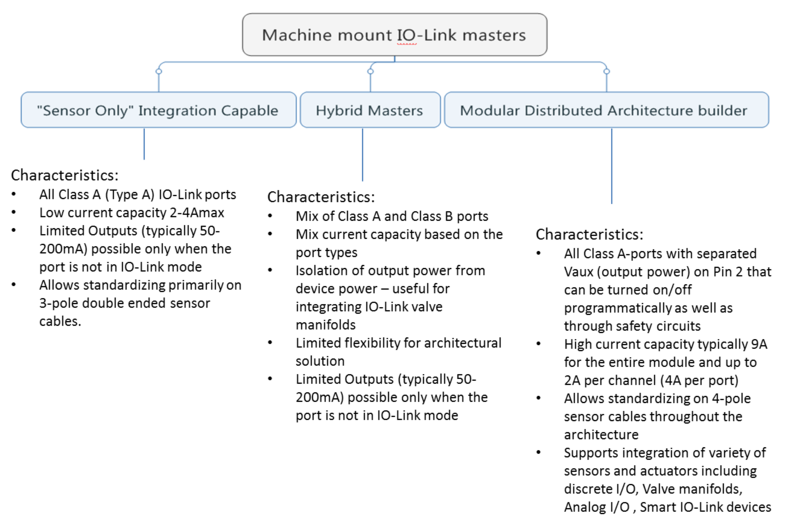 The machine mounted IO-Link masters (for simplicity let’s call them IP67 Masters) range from “sensor only” integration capable masters to the ones that have the ability to become a backbone for flexible modular controls architecture. There are primarily three different types of masters as shown below in the chart and they differ based on the power routing capabilities and power handling capabilities. In my previous blog entry, “Demystifying Class A and Class B Type IO-Link Ports” I discussed the differences between Class A (Type A) and Class B (Type B) ports and the implications of each type. We will go over more technical details in my next blog (part 2) to see how power routing and current capabilities make a difference between sensor only applications and a total architecture solution. To learn more about IO-Link masters, visit www.balluff.com. 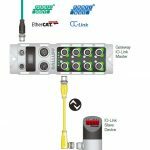 Since the inception of the Class (or Type) A and Class (or Type) B ports in the IO-Link specifications, there have been several new IO-Link devices and IO-Link masters introduced to the market. 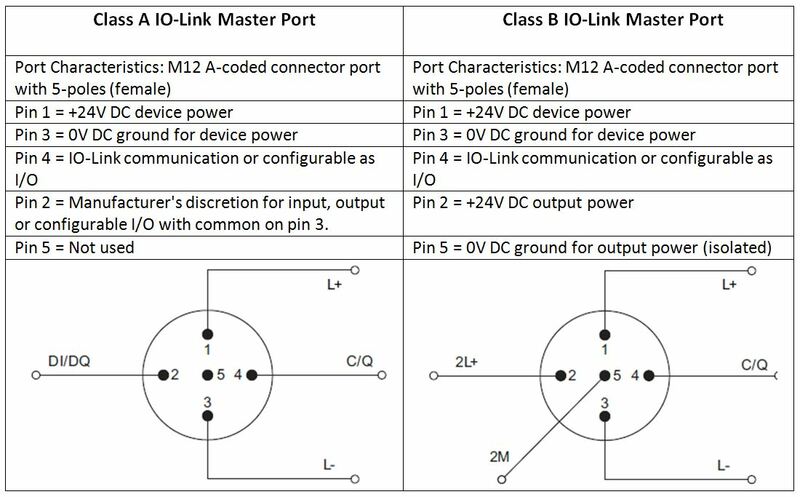 This has caused a lot of confusion about when and where to use Class A and Class B IO-Link masters and devices. Before getting into the details of Class A vs. Class B, I would like to address one question that I get asked quite often: are Class B master ports safety-rated? The answer is no. Just like any other network I/O modules (with the exception of the Safety I/O modules), any type of IO-Link master (whether it is Class A, Class B or mixed) is not safety rated. If the block is safety-rated, I am certain that the manufacturers of these blocks will kindly let you know. So, we just busted the first myth about Class B ports. 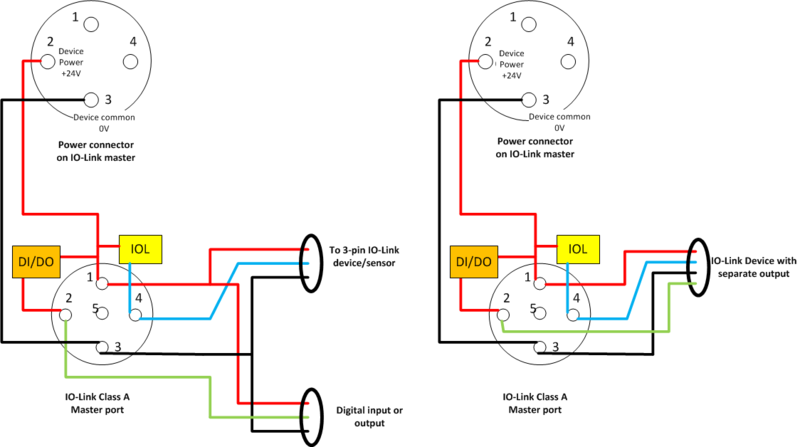 Side note: the IO-Link Consortium just released a specification for IO-Link Safety. At the time of this posting (Oct. 2017), there are no IO-Link masters on the market that are safety rated, even when the IO-Link master ports exist alongside Safety I/O parts on the same block. For IO-Link communication, only pins 1, 3 and 4 have significance. The implementations of pin 2 and 5 is where Class A and Class B ports differ and with that, the advantages and disadvantages of the uses for these ports. Clearly, with the wiring diagrams above, a Class A port offers more flexibility in terms of additional I/O count and in some cases high-amperage outputs to drive high-current devices such as valves. We will discuss the detailed power routing and application flexibility of Class A ports in a later blog. With Class B ports, Pin 2 and Pin 5 are tied to a separate power source and cannot really be used as I/O. Pin 5, the ground for output power, is separated from pin 3, the ground for device power. Actuation devices, such as valve banks, that are now offered on IO-Link could utilize separate output power that can be turned off through safety relays. Technically, this separation of power is possible with Class A ports as well, but it is inherent with Class B ports. A word of caution when implementing I/O architectures with Class B masters: since the commons for device power and output power are isolated at the master, the power fed to this device should be isolated at the source as well to keep the isolation intact. That means, the power supplies feeding the power to these devices should be isolated. Another question that I get asked frequently reveals another myth about Class B master ports: do Class B master ports offer any extra power than Class A ports? Again the answer is no. Class B does not mean extra power or the ability to provide more power. It simply means output power with isolated commons. What leads to that thinking is that on several IO-Link masters in the market, the outputs available on pin 2 of Type A ports have lower amperage ratings, because in most cases the output power is shared or drawn from the same source that feeds device power. There will be more discussion about this in my next blog! A third interesting question is, can you plug Class A IO-Link devices into Class B master ports? In most cases there is no problem doing this as a true IO-Link Class A device is only a 3 pin device using pins 1,3, and 4 shown above. So as long as pin 2 of the device does not exist or is not being used for any purpose, it is possible to use Class A devices with Class B ports. Caution: several manufacturers make sensors that can be used in IO-Link mode as well as analog or digital mode and the implementation may have more than 3 pins. In these circumstances, you will need to use a 3-pole cable to keep the device unharmed or the pin 2 of the type B port that always has +24V going through may damage or disrupt the sensor. Meanwhile, I hope this blog helped provide some clarity on Class A and Class B ports. These days, there are several options to solve the integration problems with analog sensors such as measurement or temperature sensors. This blog explains the several options for analog integration and the “expected” benefits. Long sensor cable runs are required from the sensor all the way to the cabinet, and this required careful termination to ensure proper grounding and shielding. There are no diagnostics available with this approach: it is always a brute-force method to determine whether the cable or the actual transducer/sensor has the issue. This causes longer down-times to troubleshoot problems and leads to a higher cost to maintain the architecture. Every time a sensor needs to be replaced, the right tools have to be found (programming tools or a teaching sequence manual) to calibrate the new sensor before replacement. Again, this just added to the cost of downtime. The network approach — As networks or fieldbuses gained popularity, the network-based analog modules emerged. The long cable runs became short double-ended pre-wired connectors, significantly reducing the wiring cost. But this solution added the cost of network node and an additional power drop. This approach did not solve the diagnostic problems (b) or the replacement problem above (c ). The cost of the network analog module was comparable to the analog card, so there was effectively no savings for end users in that area. As the number of power drops increase, in most cases, the power supply becomes bigger or more power supplies are required for the application. The IO-Link sensor approach is a great approach to completely eliminate the analog hassle altogether. As I mentioned earlier, since the sensor already has a microprocessor that converts the signal to digital form for synthesis and signal stabilization, why not use that same digital data over a smarter communication to completely get rid of analog? In a nutshell, the data coming out of the sensor is no longer an analog value; instead it is a digital value of the actual result. So, now the controller can directly get the data in engineering units such as psi, bar, Celsius, Fahrenheit, meters, millimeters, and so on. NO MORE SCALING of data in the controller is necessary, there are no more worries of resolution, and best of all enhanced diagnostics are available with the sensor now. So, the sensor can alert the controller through IO-Link event data if it requires maintenance or if it is going out of commission soon. With this approach, the analog conversion card is replaced by the IO-Link gateway module which comes in 4-channels or 8 channels. IO-Link added enhanced diagnostics so that the end users can perform predictive maintenance instead of preventative maintenance. The IO-Link gateway modules offers configuration and parameter server functionality that allows storing the sensor configuration data either at the IO-Link master port or in the controller so that when it is a time to replace the sensor, all that is required is finding the sensor with the same part number and plugging it in the same port — and the job is done! No more calibration required. Of course, don’t forget to turn on this functionality on the IO-Link master port. Where do I find IO-Link capable sensors? The answer is simple: the IO-Link consortium (www.IO-Link.com) has over 120 member companies that develop IO-Link devices. It is very likely that you will find the sensor in the IO-Link version. 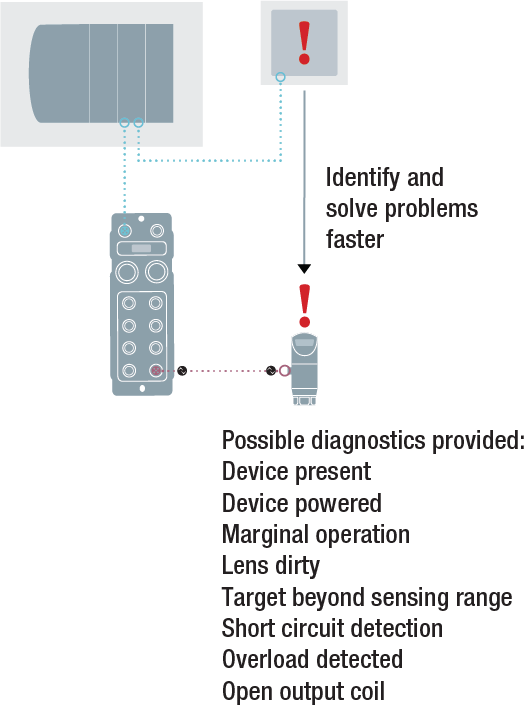 Want to use your existing sensor? Balluff offers some innovative solutions that will allow you bring your analog sensor over to IO-Link. What does that “Ready for IIoT” tag really mean? These days almost every smart industrial device that comes to the market is advertised as “ready for IIoT.” But what does it actually mean? Before we get too technical, we should look at what the objectives are for IIoT and why it is important to the industrial age of our time. In a previous post, “The promise of the Industrial Internet of Things (IIoT)“, we highlighted features such as Virtual IP address, to help address several things that plant maintenance and management would like to achieve. This blog touches those topics in a different perspective. The concept of the Industrial Internet of Things (IIoT), or Industry 4.0, applies to the future of industrial automation, and these concepts heavily rely on the interoperability of a wide variety of devices and systems that communicate large amounts of data. This data is important because IIoT promises superior efficiency of machines and personalized manufacturing. Personalized manufacturing – also known as micro batch production or lot size one – means connecting with the customers at an individual level rather than connecting to masses. If efficiency and customization in production are the end goals or prime objectives for IIoT, these questions must be answered: What type of data would be necessary? Where and how is that data obtainable? In other words, what are the capabilities or characteristics of the device or system that really qualify as being “ready for IIoT”? 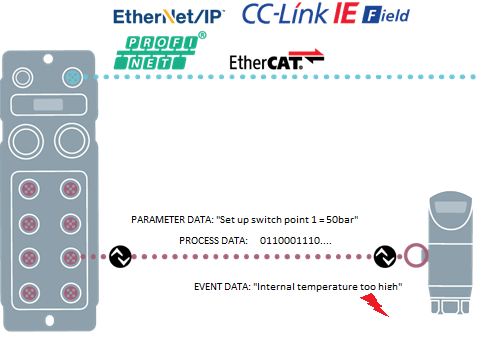 Does simply providing an Ethernet connection to the device or adding a webserver qualify the device for IIoT? The answer is NO! In my opinion, the following 5 key characteristics/capabilities, depending of course on the end user’s objectives, would qualify for being “ready for IIoT” tag. Condition Monitoring enables predictive maintenance and eliminates unplanned downtime. 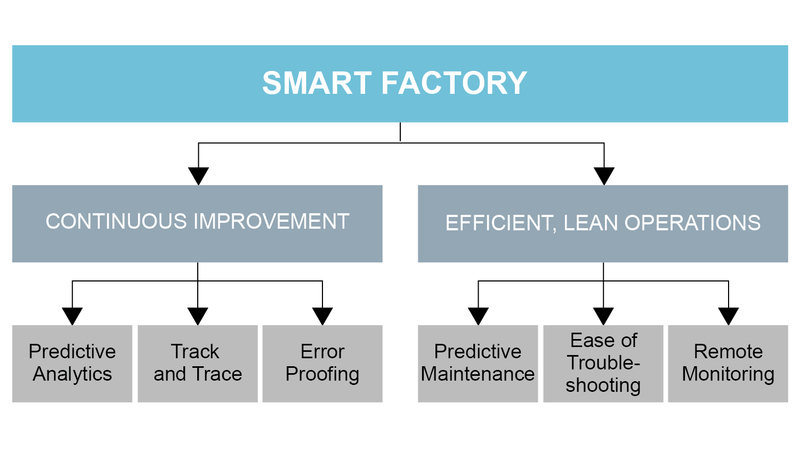 Is the PLC or automation controller the right place for determining predictive maintenance? Maybe not. The PLC should focus on making sure the system is running effectively. Adding more non-application related stuff to the PLC may disrupt what is truly important. In most cases you would need a different PC or server to do this pattern analysis throughout the plant. A system or device with the “ready for IIoT” tag should be able to collect and provide that information to a higher level controls system/server. An example would be a power supply with IO-Link. Through the IO-Link master it tells the system about the stress or ambient temperature and predicts its lifetime. Automatic configuration or parameterization of sensors and systems. 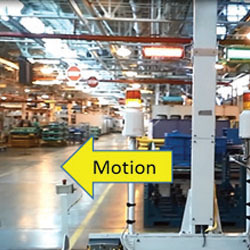 This feature enables plug-n-play benefit so that replacing devices is easy and the system automatically configures the replaced device to reduce downtime. As IT and Controls Engineering work closer together, there are other characteristics of the devices that become important. 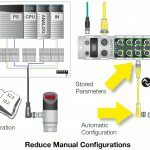 Configurability of sensors and production line beyond controller of the system: Automation controllers in use today have physical limits of memory and logic. Today manufacturers are running multiple batches of different products on the same line which means more change over and more downtime. 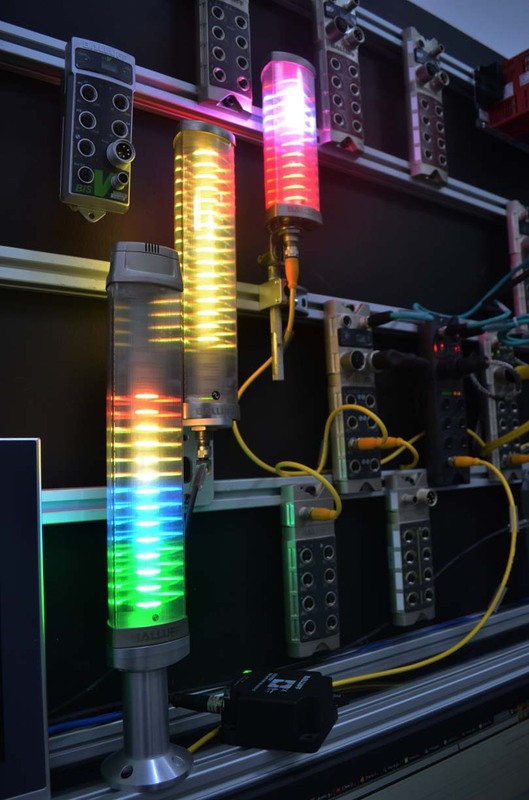 If the devices could allow for quick line change configurations such as set point changes for your sensors, different pressures on fluids, different color detections for the parts or even the ability to provide you with detection of the physical format change, that would significantly reduce your changeover times. In a PLC or controller, you can only build logic for factors known today (for ex. the number of configurations), but in the near future there will be additional product configurations. To be truly ready for the IIoT, you need devices that can be configured (with proper authorizations) in multiple ways. A webserver might be one of the ways – but that also has its limitations. Simple Network Management Protocol (SNMP) is widely used with several of the network management software tools in the IT world. OPC UA is another open communication protocol in industrial space. JSON is a protocol for cloud interface among many others. A device that can offer connectivity, via SNMP, OPC UA, JSON or other such open formats, to connect to other network software tools to gather information or configuration would solve several of these challenges without burdening the existing PLC or controller logic. In other words, these types of interfaces can connect your machine directly to an MRP or similar enterprise-level system which would make production floors much more efficient for quick changeovers. Capability for asset tracking, and quick troubleshooting: These features become important when there are hundreds of parameters changing and configurations evolving as your system becomes smarter and more efficient. To ensure right things are happening down the line, error-proofing your system becomes essential, and this involves additional information tracking. So the systems or solutions you choose should have these features. Scalability for the future: This characteristic can be interpreted in many different ways. But, in this blog it refers to adding features and functions as the need arises and building in capability to adapt to these changes is needed so that you are not starting from scratch again when the business needs to evolve again. 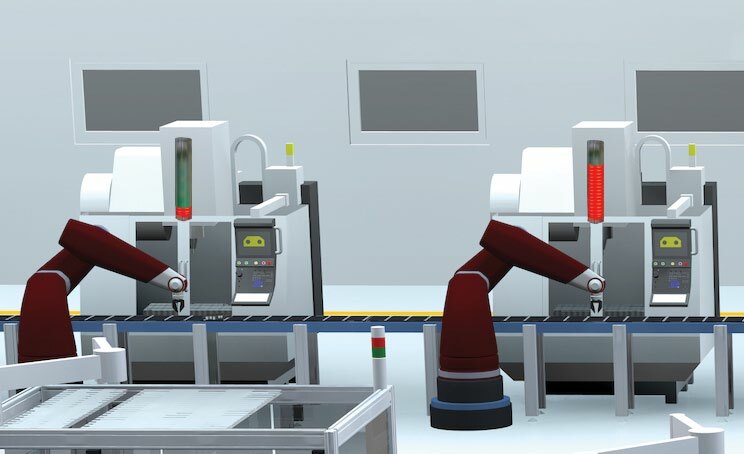 So, as we move into this new era of manufacturing, it is important to understand what the “ready for IIoT” tag on the device you are investing in means, and how it is helping you become more efficient or helping you connect to your customer one-on-one. Using IIoT to implement an ‘Enable and Scale’ plan would be the best way to meet the ever-evolving needs for the plant floor. 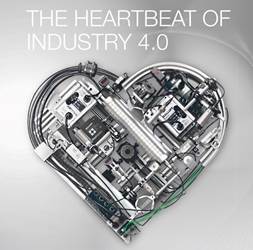 To learn more about IIoT and Industry 4.0 visit www.balluff.us.